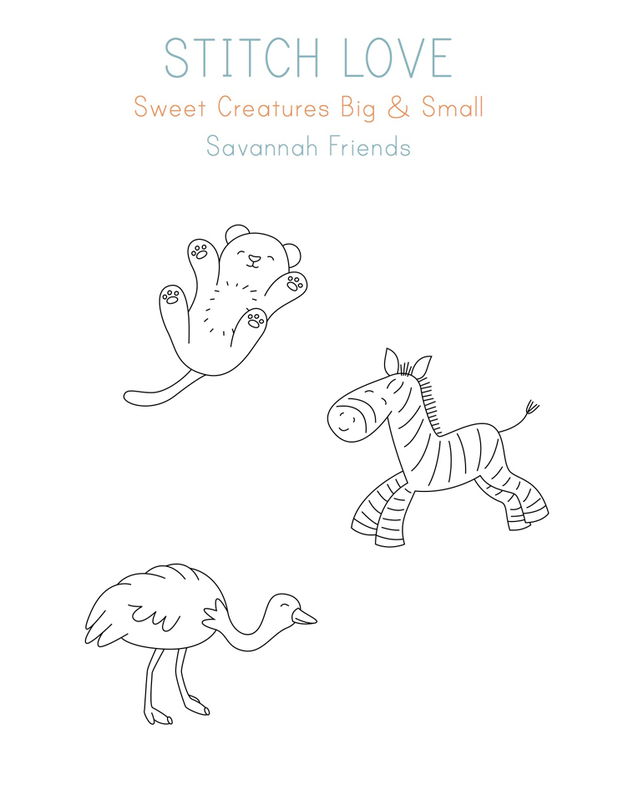 One year ago today Mollie from Wild Olive had the book Stitch Love: Sweet Creatures Big & Small: Cute Kitties and Cows and Cubs and More…and a Yeti* released. 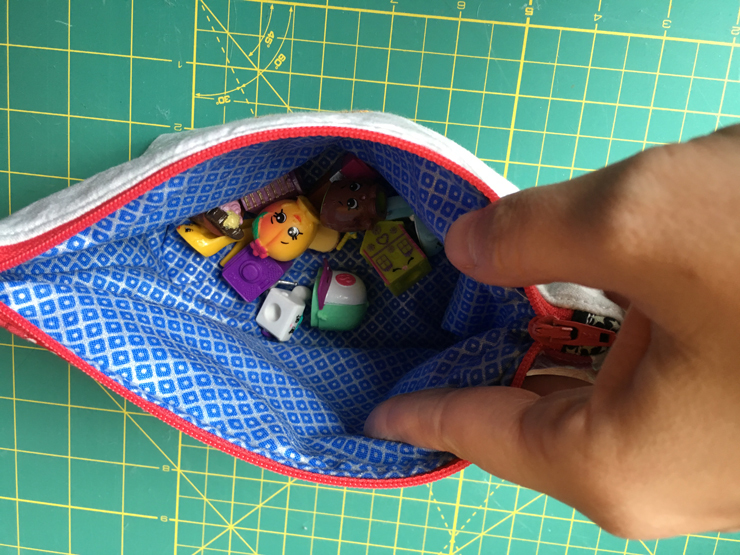 I reviewed the book and made an adorable whale purse. I also participated in the Stitch Love Valentine’s blog hop last year and the Stitch Love-Along. I am very lucky to call Mollie a friend and was so excited when she asked if I wanted to stitch up some new free patterns to go along with her book’s one year anniversary. Evie quickly picked the adorable lion cub and asked me to make her something with a rainbow. 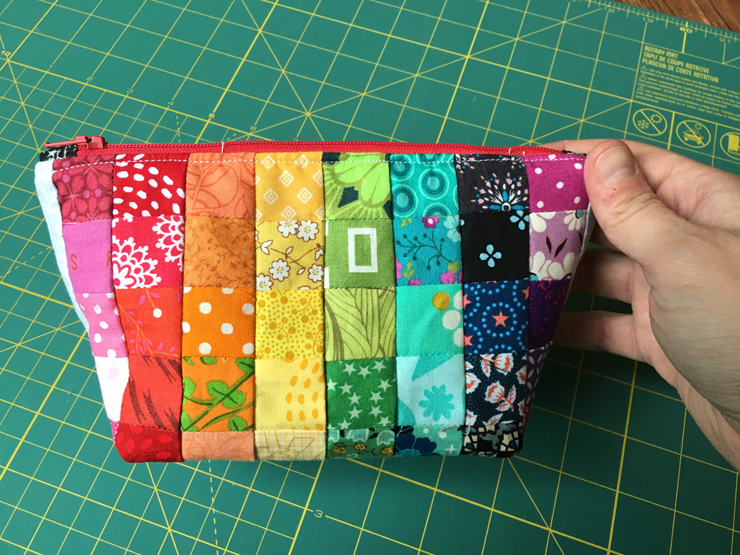 I made yet another pouch and her and I both love it. I was tempted to keep it for myself! She immediately filled it with Shopkins because she’s now obsessed and they’ve taken over our house. She thanked me about 25 times for making it for her and kept saying how much she loved it so mission accomplished. 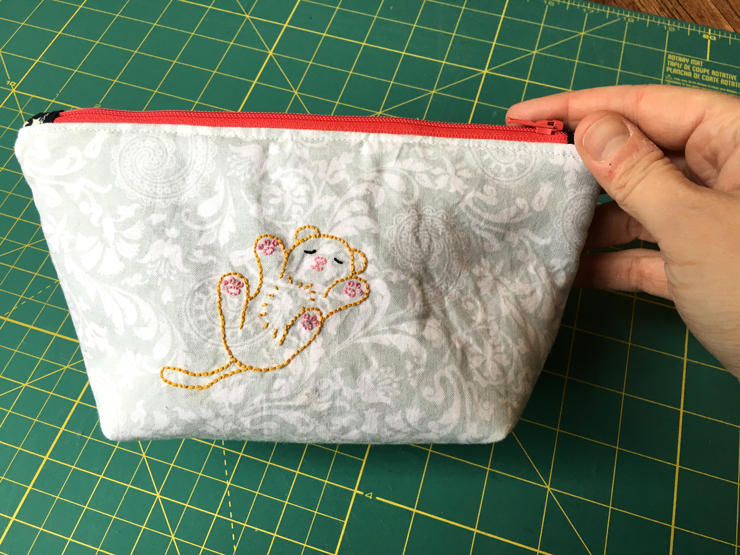 I’m currently in the process of stitching the zebra for Mira, she apparently needs her own pouch too! Download the PDF of these free patterns. 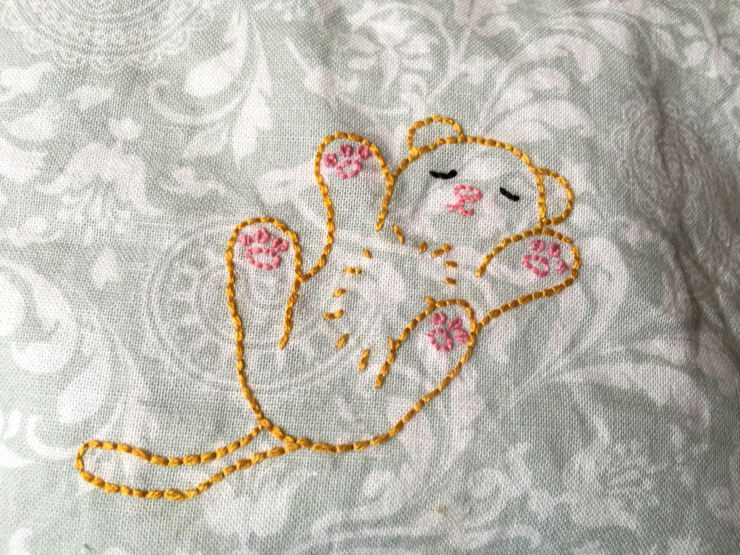 And then head over to embroidery.about.com and Wild Olive for more adorable free animal embroidery patterns. Thank you so much for these awesome patterns! I with you in that swooned when I saw the back of the pouch. (Hand on forehead as to help me not pass out) hee hee and I recognize several of those shopkins and knew there names……giggle. Thanks again! So cute!! I love how you combined the embroidery with your rainbows! Lovely pouch, surely the next one will be as cute! Love, love, love these sweet patterns! Thank you!! !